Connect with us, so we can help get you started on your health journey. 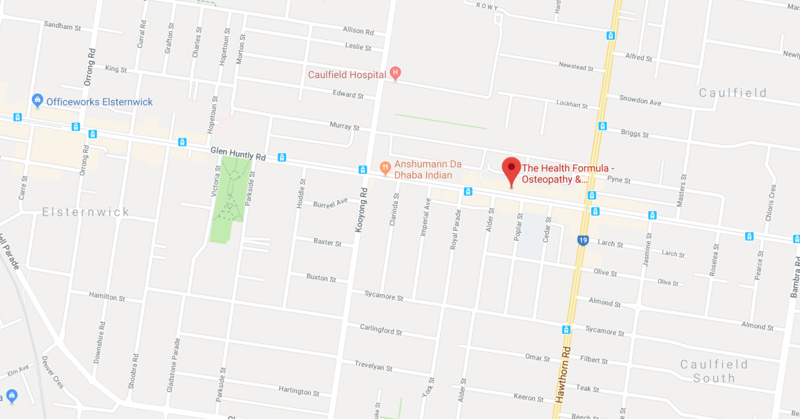 The Health Formula is conveniently located in the Melbourne suburb of Caulfield South. The clinic is situated at the front of Integrate Training and has plenty of on-street parking available outside and on the nearby side streets. Let Us Support You On Your Health Journey!